If you are here it’s probably because you love chocolate cake as much as we do. Maybe why that’s we spend so much time looking for the very best vegan chocolate cake recipes online. It’s not an addiction…but it’s close. We are nothing if not dedicated and persistent. I mean, it’s such hard work making vegan chocolate cake recipes, tasting them, and then doing it all over again. I can tell you my friends and family don’t seem to mind. Over the past few years I have settled on a handful of vegan chocolate cake recipes that I like best and they are the ones I make most often. I started wondering last week which one was the absolute best. So I came up with this contest idea. 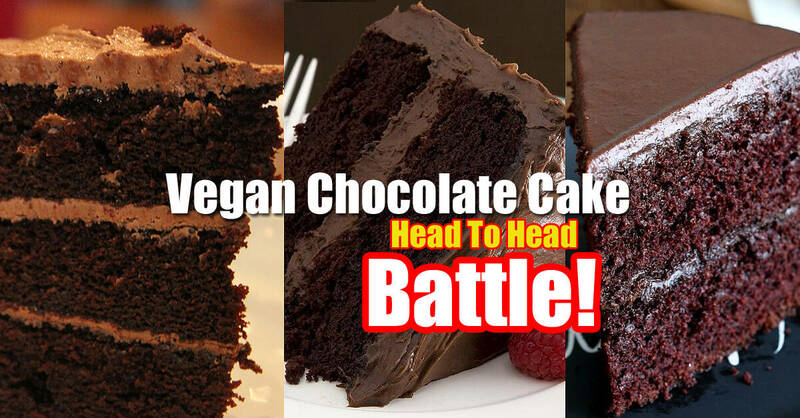 The Vegan Chocolate Cake Battle! I’m nothing if not dedicated to the science. I mean who else would commit to making three different chocolate cake recipes in a week, keeping notes on them, and eating them all for the sake of our readers. If it sounds like I was a willing participant, you got that right. I will say that I don’t think I will do this again. As long as you guys benefit from all my hard work it was all worth it in the end. Never let it be said that I didn’t give my all in the name of vegan recipes and science. Specifically vegan chocolate cake science! The three chocolate cakes I made are all recipes I have found online over the past years. I have made some minor modifications in some recipes and where I did that I will be sure to let you know. I’ll give you my review, any changes I made to the original recipes, and a link to the original recipe. You can decide which version to make. I highly recommend you make all three just to make sure. You have may permission. It’s science right? This is a vegan chocolate cake recipe I found on thespruce.com. I decided to make it one day based on two reasons. I liked the photo and I had some vegan frosting in the fridge I needed to use for something. That last reason is not only the reason I made this cake to begin with and it’s also the reason this cake comes in 3rd in our head-to-head chocolate cake battle. Hey, it’s a great recipe but someone has to finish 3rd right? All of these cakes take about an hour to make so it doesn’t really have an advantage on time. It is a little bit easier though since you can just buy the vegan frosting of your choice and put it on the cake. This is a convenience but it’s also a drawback. Store bought frostings are good but there is nothing like making one from scratch. Are you ready to try this cake out yourself? It’s definitely worth your time and we think you will like it. You can get the recipe by clicking here. If that doesn’t put you in the mood for chocolate cake I don’t know what will. 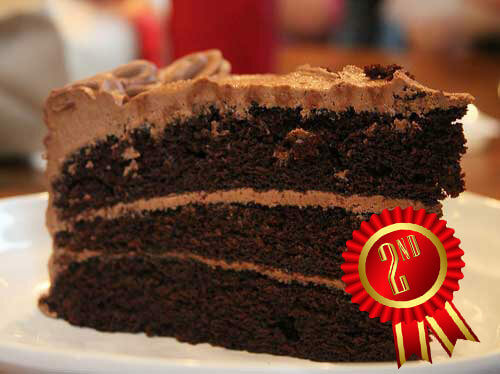 Unless of course our 2nd place finisher might get your taste buds excited. 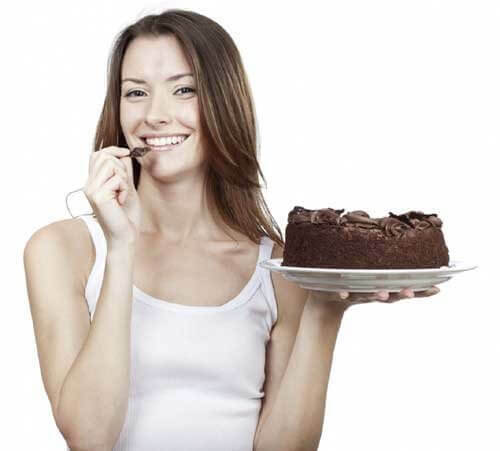 Without further ado, here is the 2nd place finisher in our vegan chocolate cake face-off! When you name your cake something like that then you better be ready to back it up! Sam over at It Doesn’t Taste Like chicken does back up all that recipe swagger with this really delicious chocolate cake recipe. I’ll tell you right now that it was really close between this cake placing first or second. The really was just one deciding factor that put it over the top. I’ll reveal what that was when we review the winning recipe below. There really isn’t much more I can say about this cake in the ‘con’ area. Really my one dislike is based on personal preferences. To be fair she does make a note at the bottom of the recipe that using non-hydrogenated vegetable shortening is better for you and you can substitute what you like best. The secret to this cake really is the apple cider vinegar. It makes this cake so light and fluffy that it’s quite remarkable. Unlike the 3rd place finisher there is also a frosting recipe that you make yourself. It’s pretty basic but it’s really delicious. This really is a recipe you should try. And It doesn’t taste like chicken is one of our favorite sites for vegan recipes. You can get this recipe by clicking here. What vegan chocolate cake could possible oust those two from the top spot? What is the best vegan chocolate cake recipe we have found online? One clue for you is that it features a rich, delicious, ganache frosting. This cake is amazing. 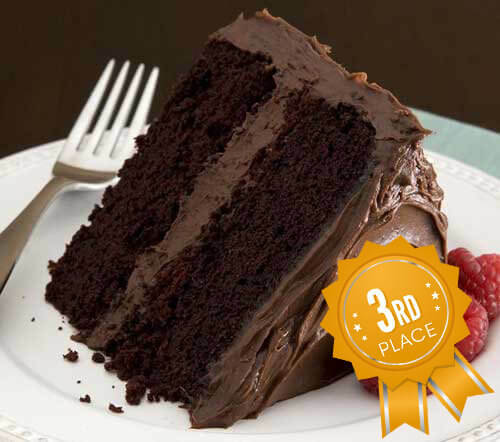 If you are ready to find out who the winner of our vegan chocolate cake battle is, click through to the next page below.